September 11 has become a significant date in American history. That date did not become noteworthy just in 2001, because it actually has a deeper history for Americans. “As a nation, we stand at a crossroads. This election requires every citizen to be alert, informed, and prepared to vote. We have not seen an election this important in more than 100 years – perhaps not since the election of Abraham Lincoln.”On September 11, 1814, America was under attack. No one ever imagined that 17,000 British troops would be on the outskirts of the city of Baltimore. Off the coast were nearly 30 British ships of war. The British navy maneuvered 16 of those ships to within striking distance of Fort McHenry. Those naval vessels began a 24-hour barrage on the American forces stationed in Fort McHenry. The plan was to send the British navy up the western branch of the Patapsco River, bomb the city, and make it possible for British troops to take Baltimore. Two weeks earlier, the British had taken Washington D.C. and burned a great portion of the city. President Madison and most of the populace of Washington had fled the city as the British put the capital to the torch. Dolly Madison was perhaps the last to leave Washington. She secured a number of national treasures, including Gilbert Stuart's full-length painting of George Washington, before she left the city. As she departed, the British were right on her heels. When the British left Washington, they headed to Baltimore but were unable to take the city. The citizens, at their own personal expense and sacrifice, sunk their own boats in the mouth of the western branch of the river to make it impassable to the great British warships. There were the founding fathers that gave up their life, liberty, and the pursuit of happiness to fight for future generations to have the very things that they sacrificed. There were those who gave their all at places like Antietam, Sharpsburg, Gettysburg, Petersburg, Normandy, Utah Beach, Pork Chop Hill, Da Nang, Fallujah, Sadr City, Baghdad, and of course, Kabul. As a nation, we stand at a crossroads. This election requires every citizen to be alert, informed, and prepared to vote. We have not seen an election this important in more than 100 years – perhaps not since the election of Abraham Lincoln. Beyond voting, though, there is something else we desperately need to do: Pray. In the heart of Psalm 122, David calls on the nation to pray for the city of Jerusalem. This passage has some very clear millennial overtones, but David calls on a nation to pray for the capital city, which in a sense represents the nation itself. Psalm 122:6 "May they prosper who love you"
Pray for the economy of the nation. Psalm 122:7 "Peace be within your walls"
Pray for the safety of the nation and for homeland security. Psalm 122:7b "Prosperity within your palaces"
Pray for the state of the nation's political life. Psalm 122:8 "For the sake of my brothers and my friends"
Pray for the populace (that is us). "And seek the welfare of the city where I have sent you into exile, and pray to the Lord on its behalf ..."
God was telling them to pray for the city of Babylon. As the people of God, we have an obligation to the nation in a time of crisis. We are told in Ezekiel 38-39 that a confederation of nations will move down against Israel, and ultimately, the entire world will turn on the nation of Israel in a battle that we know as the battle of Armageddon. It has been anything but a city of peace and yet David says to pray for the peace of Jerusalem. Most likely this Psalm was written by good King Hezekiah and was used when he restored the temple and called the divided nation to come together and worship the true God. Many from the northern tribes would have sung this song of ascent when they came to participate in worship in the temple for the first time in centuries. The people of God are called on repeatedly to remember their history. King Charles signed the Carolinas Charter in 1622 and stated that the settlement was for the "propagation of the gospel. "2 I shared with the BBC that it was far more than just religious freedom; it was for the purpose of propagating the Gospel of Jesus Christ. That is our history as a nation. This brought on the war which finally separated the two countries and gave independence to ours. Whether this will prove a blessing or a curse will depend upon the use our people make of the blessings, which a gracious God hath bestowed on us. If they are wise, they will be great and happy. If they are of a contrary character, they will be miserable. That is our history. That is what we were founded upon and we must not forget. In fact, now more than ever, we desperately need a lesson in our own nation's history. The Office of the President of the United States is established in Article 2 of the Constitution. According to that document, the President must be a natural born citizen, at least 35 years of age, and a resident of the U.S. for at least 14 years. He must win the majority of the Electoral College (which we saw in the 2000 election is pretty critical). He serves a four-year term and can serve no more than two terms plus two years of an unexpired term. Chief Diplomat (Appoints Ambassadors, makes treaties with 2/3 vote of Senate). 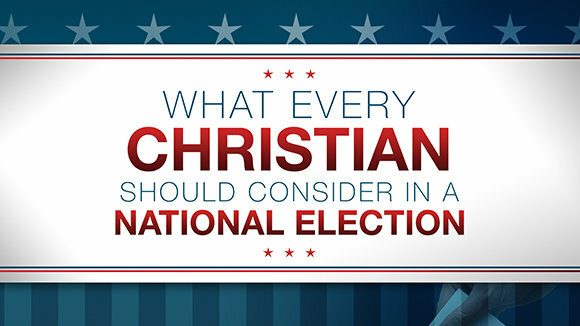 It behooves us to stop and think, to pray, and to make a sober decision when it comes to electing the next President. If we do not have knowledge of our past, we will stumble around looking for our future. For the Psalmist, the real issue was the worship of God and putting the things of God first. This has been called an envelope Psalm, because it begins and ends with a word about worship. The Psalmist listed several things about which his generation should be concerned. There has been a real fight in this nation over the issue of homosexuality and marriage. For more than fifty years, gay activists have intentionally sought to make their lifestyle and behavior normal in the eyes of mainstream America. With the Obergefell v. Hodges case, the Supreme Court fundamentally changed 6000 years of human history. Their fundamentally flawed decision was announced to the nation on June 26, 2015, which also happened to coincide with the 9th day of Tammuz of the Jewish calendar. The 9th of Tammuz was the day of mourning for the ancient Jews because it was the day that the Babylonians destroyed the Temple of God in Jerusalem. The ramification for Americans will be the same as for the ancient Jews. It will become an unofficial day of mourning. We have watched the gay agenda gain practically everything they set out to obtain. It began with sitcoms that made us laugh at the gay lifestyle. Hollywood made the gay lifestyle seem delightful, funny, and entertaining. They never showed the dark side, with the multiple partners, the immense hurt, shame, pain and dysfunction, along with the family devastation that accompanies homosexuality. There has been a frantic search for the "gay gene." It has not been found, but that does not keep the press from discussing it as if it is fact. It is the same way they handle evolution. Thus, it is accepted without existing. The future of the family and what is taught to your five-year-old is at stake. It is time for Christians to come out of their closet and take a stand. In a recent interview with KIRO Radio's Jason Rantz, Terry O'Neill, President of the National Organization for Women (NOW), made clear the state of pro-abortion rejection of modern science. O'Neill was asked whether she would still promote abortion, even if science conclusively proved that life begins at conception. "I don't care. Of course, I would support abortion," replied O'Neill. This is more than law and medicine. The issue goes to the very heart of who we are as a people. The other side of this issue is what abortion does to the mother, the woman who undergoes such a procedure. No one, especially Planned Parenthood, discusses the depression, guilt, or the sense of being broken and incomplete that many women experience. An estimated 43% of all women will have at least one abortion by the time they are 45 years old and no one discusses with them the psychological implications of an abortion. These women go through life angry and bitter and burdened with a sense of loss, a psychological numbing, depression, anxiety, and a host of other related issues. The very ones who push abortion are the ones who say you have no right to grieve. Sadly, though, we in the church have made it impossible for these hurting women to grieve and be ministered to. As advances in science have confirmed that stem cells can come from many sources other than embryos, this subject is not as hotly debated. However, getting the media to acknowledge that evangelicals were right on this is impossible. Many have accused Christians of not wanting to find cures and solutions to many of the greatest medical issues of our day. The truth is that we want to be like Christ who went from village to village healing every disease and sickness. We are told that He went about doing good. That is our model. We simply believe we can honor life, hold it sacred, and still do good. Perhaps the greatest crime of all in our society is intolerance. However, there is one exception: it is politically correct and socially acceptable to be anti-Christian in America today. In Redlands, California you will see masking tape over part of the city seal on police cars and other city vehicles. The crosses on the badges of firemen have been drilled out and the cross in the city seal on official documents has been covered up with magic marker. That is where we are as a country. The ACLU, along with many other segments of society, have now determined that any vestige of Christianity has to go. I want you to stop and think about these things as we prepare to vote in a national election. The family is under assault and the church is under attack in America. Does that give you a good perspective of where we are headed? Watch carefully the language being used today by political candidates. We often hear about Freedom of Worship, but not about Freedom of Religion, which is guaranteed to us in the Bill of Rights. Freedom of Worship is a phrase that implies you are free to worship God inside your church building, but not to bring it out into the public square. We were guaranteed by the framers of the Constitution a Freedom of Religion, which means I am free to believe and practice my faith in the market place. Personally, I do not think either party has the answer. In fact, I am convinced that nothing short of a miracle of God is going to turn this nation around. We are in a time of crisis that is beyond Democrats and Republicans. You say, "But Preacher...a miracle, do those really happen?" On August 24, 1814, the British under General Ross marched on Washington D.C., defeated the capital forces, and began to burn the city. At 10:30 pm, they entered the White House and began looting. General Ross himself stole the personal love letters that President Madison had sent to his wife, Dolly. They then put the White House to the torch. The city burned that night to the degree that the glow of the fire could be seen fifty miles away. Madison sat on a horse in Virginia and watched the glow of the fires burn the city of Washington. Many thought that America was on the brink of collapse. The next day, August 25, the British were still burning the city, the Naval Yard, and the Library of Congress. But that afternoon the most unusual thing occurred. A hurricane hit Washington. It dumped so much rain that the fires were extinguished. The winds were so strong that the British army was routed. Then, a tornado ripped right through the center of the city killing more British soldiers than the American forces. One British account states that the winds literally picked up British cannons and threw them yards away. The next day, the decimated British army retreated from Washington. It was as if the hand of God came down and spared the young nation.